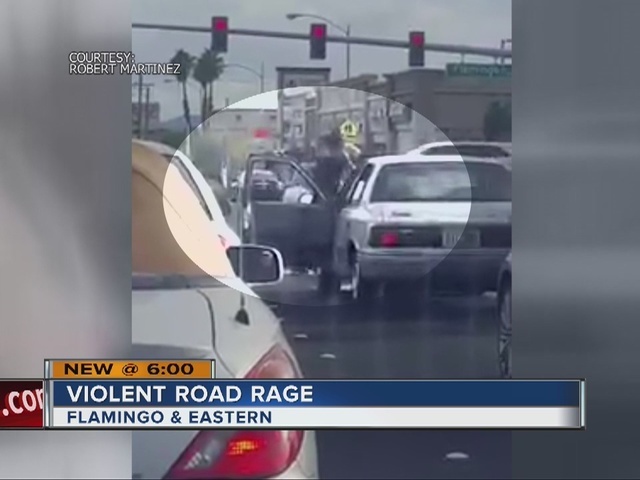 A man and woman duked it out on a busy Las Vegas street. 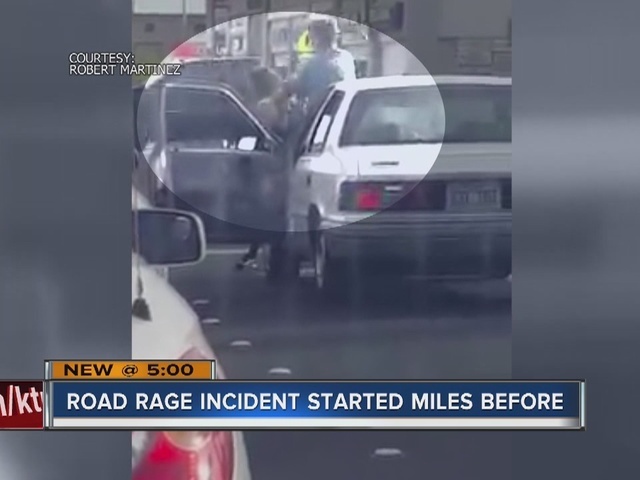 A brutal example of road rage was caught on tape after a savage fight broke out in the middle of a busy roadway Monday afternoon. 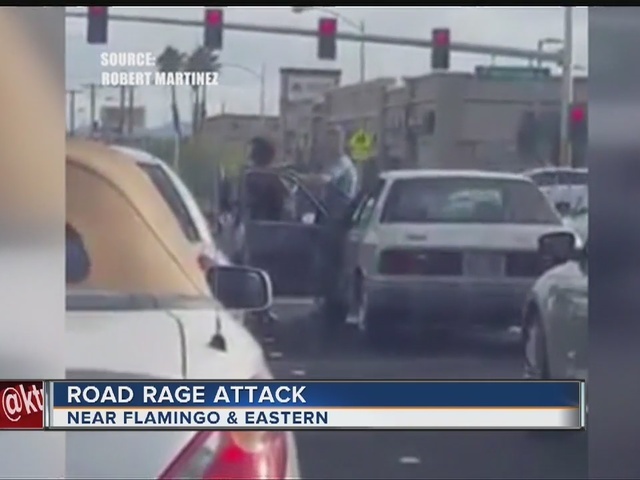 It was reported near Flamingo Road and Eastern Avenue. The video is less than a minute long, but shows part of the brutal fight. You can see a man get out of his car armed with a crowbar before scuffling with a woman. But then, she flips the script, grabbing the crowbar and swinging it at him. He flips her over but she comes back swinging. She ends up smashing his window. Meanwhile, in the background two guys watch it all happen. After it's all over, the man gets in the car and drives off when the light turns green. You can't see it in the video, but police say the woman also had a knife. Las Vegas police say they weren't initially aware of the viral Facebook video but were aware of the incident because both the man and the woman in the video called them. They say they're investigating to find out who was the primary aggressor in the situation. Police say it's possible one or both of them could face battery charges. 13 Action News tracked down a person who said she treated the woman in the video for a head injury. The woman reportedly said the incident began about three miles away at Sahara Avenue and Maryland Parkway. She said she was on her phone and missed the light change. That's when she claims the man started honking and yelling slurs. It's alleged that the man also smashed in her windshield with a tire iron. 13 Action News is trying to get in touch with both of the people seen fighting in the video.